The tropical storms that move over the Pacific Coast are mesmerizing in their ferocity. From time to time they last all night. Recently the ensuing fatigue from staying up to watch one (not that I had a choice, the claps of lightning would not be denied) blossomed into a wicked bronchial cough upon the dawn. Pharmacies in Mexico deliver. Rather than having to drag myself hacking and rumpled for medicine, I had it delivered, no extra charge. What I received was Panoto-S Hedera helix jarabe (syrup), sold in the U.S. as Prospan. Upon looking up the ingredients, the syrup was nothing but extract from a flowering ivy plant common in Europe. I doubled the dose. (My cough is like none other. It has cost me relationships and this one could probably be heard in the downstairs lobby). The syrup worked well and I slept through the following night. You likely are so locked in disbelief that pharmacies deliver in Mexico you didn’t register the last few paragraphs. The appearance of the delivery person at my door with my medicine within the hour was a little like seeing a television for the first time for me too. Let’s put that phenomenon aside and consider the medicine they sent. Suspend reality for a moment and pretend that pharmacies delivered in the United States. What do you think they’d recommend to you when you called? The ingredients in Nyquil, according to an article in Wired Magazine are acetaminophen, a drug that breaks down in the body to form a cannabinoid (and we all know what that is), Dextromethorphan (dextrorphan), a painkiller five times more powerful than morphine that’s listed by the National Institute of Drug Abuse as a “dissociative” drug, and doxylamine succinate, an antihistamine. Other ingredients are alcohol, sodium citrate and a flavoring that the author suspected was added to make the cough syrup so nasty that people who really like disassociating wouldn’t drink too much of it. In researching Hedera helix, no negative side effects were found other than a possible mild stomach discomfort. It tastes like a strong tea. What if pharmacists all over America started recommending Hedera Helix? What do you think would happen (Hint: Proctor & Gamble, the makers of Nyquil spent $3,269,000 in lobbying efforts in 2017)? Even a whistle-blower aspirant like me understands Proctor and Gamble probably has bigger fish to fry than what cough syrup pharmacists recommend. They have 70 brands to protect to generate their billion in sales a year. Yet with that kind of money at stake in all of our major industries, no doubt lobbying dollars keep us unaware of better solutions for many services and products. Those of us who live in humid coastal areas and wear sandals all day are at greater risk of foot or nail infections. I finally let my nail polish wear down enough to realize I’d had a toenail fungus and went to a doctor in Denver. The doctor prescribed pills and a cream that would together run to the tune of $80-100 dollars U.S.
Luckily, when I tried to fill the prescription in Guadalajara, a Mexican friend was with me. The pills, she told me, were like killing an ant with an anvil, too hard on the liver to be worth it for a toenail infection. She advised going to the botanical store next door. We did. I left with a small bottle with an ominous skull and crossbones on the label and a dropper. I used the drops on my toe for three days before the fungus disappeared. It cost $6. Overall, Mexicans and Mexican doctors are much more accepting of homeopathic treatments. That same friend who took me to the Guadalajara botanical store has two adult daughters who have never taken an antibiotic. Instead, she takes them to a well-respected homeopath in Quelite, a Pueblo Magico about 30 minutes from Mazatlán. Everyone in Mazatlán knows about him. He’s practiced for decades. Going to his office in Quelite is a lot like petitioning a Mafia don. People wait outside his open door on benches with hats in hand until they can go into his office and whisper their needs. I grew up believing in pills and in modern medicine. That was before so much money moved in behind the recommendations. Millions, even billions in profits finally convinced me that money like that has great potential for speaking louder than my well-being. That a company makes a huge profit from selling a product that makes people’s lives better doesn’t bother most people. Lobbying, protecting those profits by framing facts a certain way and interferring with the availability of equally effective, cheaper alternatives is when it crosses the line from just democratic representation of a group to a more nefarious activity. From unnecessary mandated eye exams to get new contacts to not being able to take your dental x-rays from one dentist to another one, lobbyists frame arguments that are frequently more about protecting the livelihood of a constituency than your or my well-being. The Washington Post ran an article on the surprising influence of the American Dental Association ($2,190,000 in lobbying dollars) which the author put right up with that of the NRA. The American Optometric Association ($1,245,000 in lobbying dollars) as reported by Forbes, uses their power to prevent people from technical innovation that would enable people to get an eye exam using an app. Such a low cost alternative would be a boon for those who cannot afford an office visit. How much did Congress get from internet service providers to kill net neutrality? Over 100 million dollars. Self-interest and the public good can coincide. The National Realtor Association spent $54 million in lobbying efforts in 2017. A big part of it supports legislation that will make buying a home easier for low-income people. But when this kind of money prevents the availability and production of equal or better procedures, medicines, products, and services, and one that are cheaper t00, its bad for the general public and should be stopped. Lobbying didn’t really begin to emerge in Mexico until 1997 and is tightly regulated. Nary a week goes by in Mexico that I don’t experience at least one small benefit from its absence. Dental work is unequivocally work that should be done in Mexico. Restraining myself from rhetoric wasn't easy, but (at great sacrifice) I managed to do it to provide a simple list of what America's most expensive drugs cost in Mexico. Kerry Baker is a partner with Ventanas Mexico and author of two books (so far). 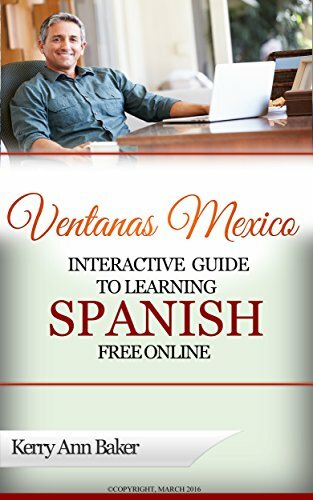 The first written was the "Interactive Guide to Learning Spanish Free Online" a curation of interactive links to the best free Spanish language tools on the best, organized by lesson plans. Staving of boredom is the best way to keep your studying up. My method enables you to create a new lesson plan every day. 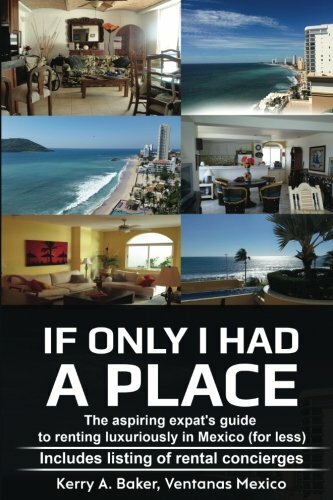 The second book< "If Only I Had a Place,' is about more than just renting well for less, it gives you an infrastrure to secure places every year that will support your expat social life. The book includes a listing of rental concierges.